DESCRIPTION This beautiful well kept water front bungalow on Adams lake is sure to please, consisting of 30 acres with a little barn, lots of room for a few horses- the grounds are manicured to perfection, winning the 2016 rural beautification award- this home has 5 bedrooms and 3 baths, recent upgrades include- new wood burning airtight fireplace-metal roof-flooring and paint. Lots of room for family living and entertaining, pride of ownership is evident when viewing this one of a kind property. There is also some campsites overlooking the lake for friends to pull their RV in and enjoy a relaxing weekend in central Alberta. A heated attached 2 car garage and a 40x 50 heated shop complete this amazing package. Home for sale at 36074 Range Road 42 Spruce View, Alberts T4G 0L5. 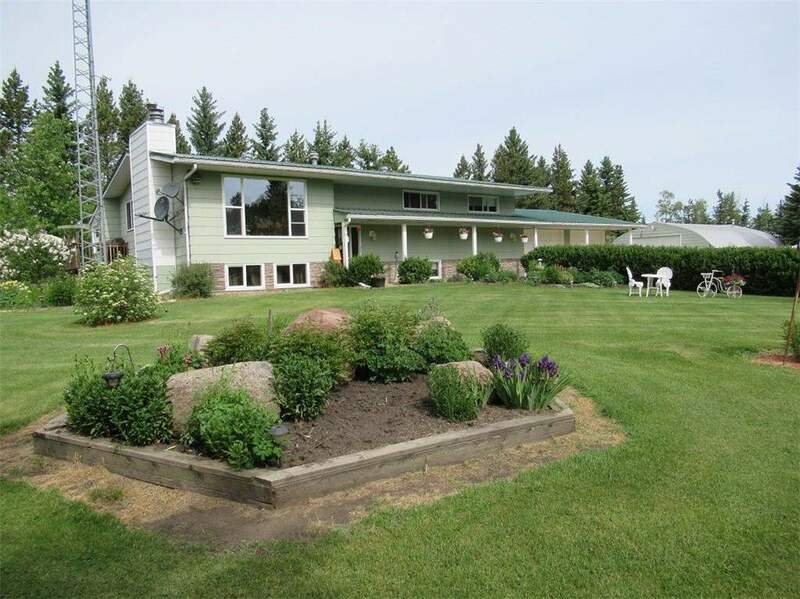 Description: The home at 36074 Range Road 42 Spruce View, Alberta T4G 0L5 with the MLS® Number C4164734 is currently listed at $724,500.